I recently received a request from a research associate at the University of Louisville to post information about a study that a professor there is doing on the effects of OCD on marriage. 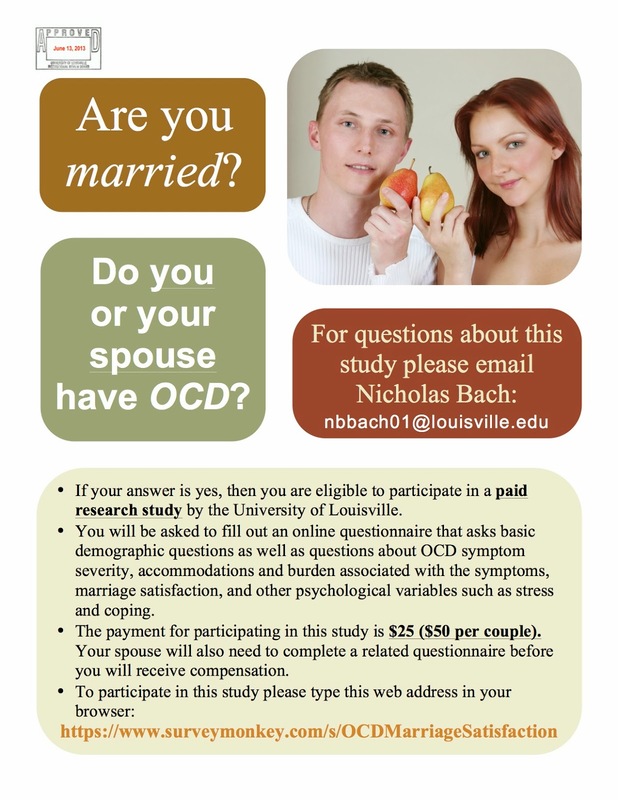 I don't know much at all about this study, and only you can decide if you feel comfortable completing the survey, but it is a legitimate request. Here's the webpage of the professor. You can click on the flyer below to see it a little larger. Thanks so much for spreading the word on this! I filled it out and my husband will too.